The Korean regional pitch competition of TechNode’s Asia Hardware Battle was held in Seoul, South Korea on August 28th at D.CAMP. With this year’s theme of “creative innovation and new energy”, ten Korean hardware startups were selected after the preliminary selection pitched their business projects to our judges. The winner of the Asia Hardware Battle regional pitch competition in Korea was Pium, smart scent diffuser, and the team will be one of the 15 teams going to Shanghai to fight for the championship in the final battle. Second place went to Huinno while third place went to Lululab. South Korea is home to startups armed with high technology, with the influx of seasoned professionals from conglomerates like Samsung, LG. Based on data from 2016, 5 booming startup sectors in South Korea were O2O, fintech, multi-channel network, healthcare, and beauty, and we could definitely see these booming sectors also reflected on Asia Hardware Battle’s winning teams. “The South Korea-China relationship has been affected by the deployment of THAAD missile, and I think startups in both countries need more collaboration. This event was very meaningful, opening the collaboration between Korean and Chinese startups. It also allowed me to see more potential of Korean hardware startups to enter China and Asia market. I believe this has also served as avaluable experience for the participating startups,” Matthew Lee, co-founder and managing partner of Cognitive Investment, and one of the judges of the competition told TechNode. “Firstly, overall standard was higher than I imagined as these startups were founded by previous employees from big companies like LG or Samsung, or seasoned industry experts. Secondly, there were a lot of lifestyle hardware, combining the traditional industry with technology. Personalization and overall designs were greatly improved,” Jason Koo, managing director of LB Investment and one of the judges of the competition told TechNode. Pium is a smart scent diffuser providing aromatherapy allowing its user to sleep, rest, and concentrate better. 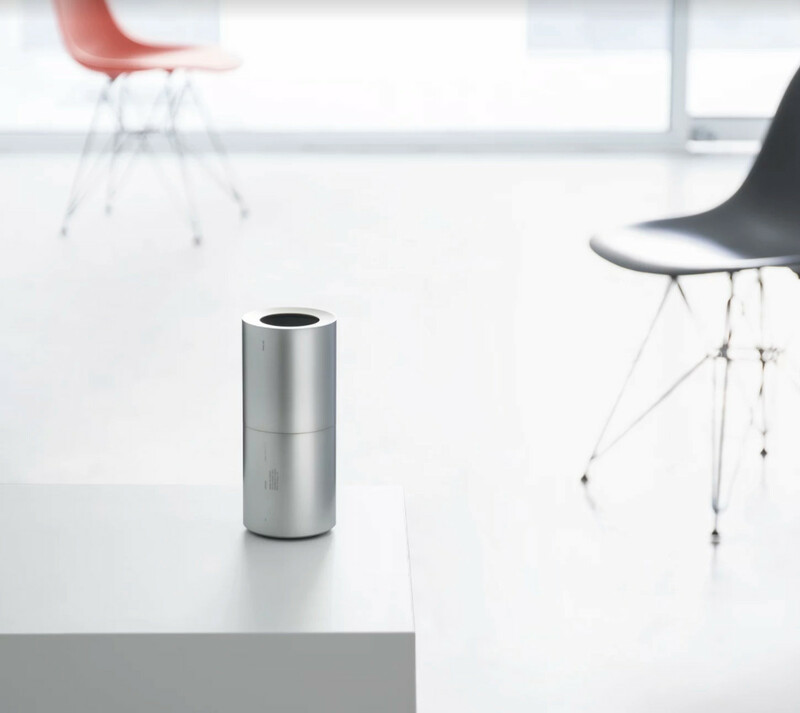 It follows user’s daily routine and automatically provides appropriate scents. In the morning, it infuses your bedroom with scents to freshen up. At night, it provides scents for your better sleep. “Natural scents has the power to change our mood and mind. We build a database for natural scents and recommend the best scent combination for you,” Jaeyeon Kim, founder of Pium and Ph.D student at Cornell Information Science said. “I believe Pium’s design and personalization aspect has potential to match Chinese user’s taste. Korean startups really need to make what the market wants,” Jason Koo, executive managing director at LB Investment and one of the judges of the competition told TechNode. Started by medical professionals with over 20 years of experience, Huinno allows its users to monitor important health data like blood pressure, heart rate, ECG, and blood oxygen saturation levels. 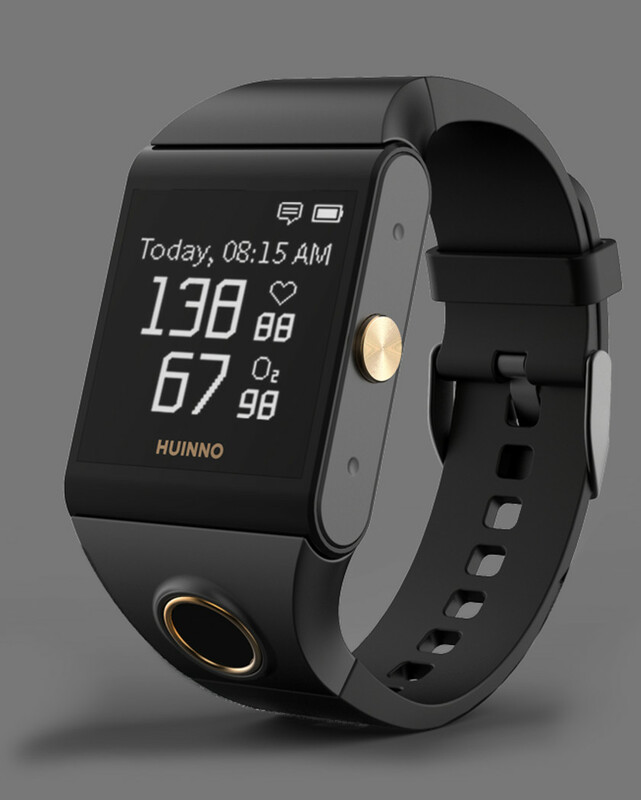 Huinno is a wrist wearable and it connects with an app and cloud-based ecosystem that gives longitudinal trend analysis of blood pressure, medication compliance, nutritional and exercise habits, as well as coaching and medication titration from its clinical experts. It is capable of continuously measuring a variety of clinically-relevant health data in real-time, simultaneously and with clinical-grade accuracy. Then it sends the collected data to remote doctor, health coach, and caretakers. Lululab’s flagship product, Lumini is a personalized beauty IoT device that analyzes the user’s skin and recommends the best skin products and services for each user. Lumini examines the skin using a phone’s camera, so you can get the skin data of the whole face in one shot. 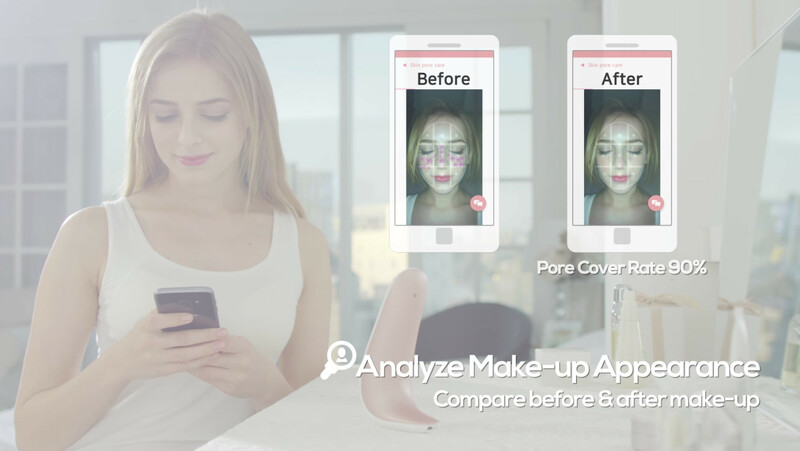 It analyzes six factors: acne, wrinkles, pores, pigmentation, sebum, redness through image analysis and machine learning based algorithms. Algi: Algi is a smart IoT lamp made with Korean traditional paper that provides audio speaker, wireless charging, sleeping hormone adjustment function and video communication. Ecube Labs: Ecube Labs provides a solar-powered trash bin ‘Clean Cube’ that compresses trash and holds up to eight times more trash than ordinary bins do, which reduces the operating cost of trash collection vehicles. Linkflow: Linkflow’s FITT 360 is necklace-like ‘Wearable 360 camera’ that captures full 360-degree of user’s body and allows its users to record their experience vividly and easily, and produce their own VR content. Luxrobo: Lurobo is lego-like modules for building IoT and robotic devices. After users code their own program on MODI Studio by simple drag-and-drop method, they can simply upload your program onto the 13 modules, to activate their own IoT and robotic device. Reziena: homecare IoT product Reziena allows users to do the anti-aging medical trial by themselves. Twoeyes Tech: TwoEyes VR is 3D 360 degree VR Camera that mirrors human eye sight and captures 360 degree surroundings using four fisheye lenses. Visualcamp: Visualcamp provides eye tracking algorithm and gaze data analysis technology that is optimized for applications to standalone and smartphone virtual reality (VR) headset. The technology can be used for VR ads monetization.